Royal Navy ships have begun a new phase of operations against people smugglers in the Mediterranean as part of a combined EU military force. Frigate HMS Richmond and survey ship HMS Enterprise have deployed as part of a multinational fleet to combat people smugglers who are trafficking refugees and migrants into Europe. As part of Operation Sophia, which is controlled from Rome by Italian Navy admiral Enrico Credendino, 22 member states and over 1,300 personnel will board and seize suspect vessels. On Wednesday, eight separate missions involving the Italian and Spanish navies and Italian coastguard were reported to have rescued 938 people off the coast of Libya. British involvement in those operations has not been confirmed. However, UK and allied ships will not be involved in tackling Libyan smugglers on their home territory as this would require a UN resolution. Military leaders loyal to the Libyan regime have also promised to attack unauthorized ships found in the war-ravaged North African nation’s territorial waters. 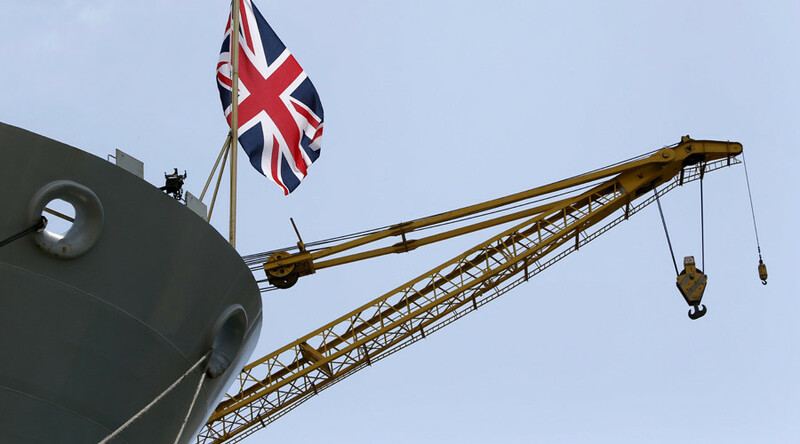 “The vital work of HMS Bulwark, HMS Enterprise and our Merlin helicopters shows the UK’s commitment to tackling the refugee crisis at source,” UK Defense Secretary Michael Fallon said in September as he pledged the ships to the mission. “The Royal Navy has rescued thousands of people from peril but we’ve been clear we have to tackle the gangs behind this, which is why it’s important the mission moves to the next phase. “We will not stand by and let this smuggling trade escalate; we will confront this criminal activity which risks the lives of innocent people every day,” he added. The fleet, which goes under the operational name EU Navfor Med, has limited powers of intervention but will be able “to board, search and seize vessels in international waters, [after which] suspected smugglers and traffickers will be transferred to the Italian judicial authorities,” EU foreign policy chief Federica Mogherini said in a statement in September.